This is excellent product for taking a couple, or a whole box our your old VHS tapes and preserving them, or sending copies to relatives. Though economy priced, these DVDs come in a high-quality full-size case (similar to a rental store), not generic "thin cases". The DVD's are printed on directly (not stick-on labels). 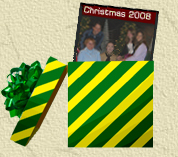 This product has a fast turn-around, as there is no editing involved: what's on the source will be on the DVD. 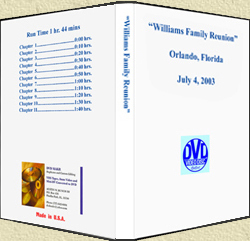 We use High Quality printable national brand DVD-Rs by Verbatim® or Memorex® (not sticker labels) and are placed into high quality full-size 14mm plastic DVD cases. Inexpensive: only $15 each (plus shipping and handling).